The San Leandro City Council no longer keeps minutes of its meetings. Anyone interested in what transpired has to listen through hours of recordings. There is no way to search through them either. San Leandro Bytes editor Mike Katz-Lacabe (who is currently running for City Council) sometimes tweets from the meetings. I’m going to start collecting his tweets to serve as the record the City Council does not want to keep. The tweets are slightly cleaned up for ease of reading. Mayor Cassidy notes that San Leandro City Council voted to extend Measure Z (.25% sales tax) and increase to .5% mainly to fund roads. San Leandro Town Hall meeting starts with update on Marina & Davis freeway overpass construction project. Summer 2015 ETA for completion. Pile driving complete on San Leandro Marina overpass. Pile driving starts in August for Davis overpass: 7am to 3pm. Question to CalTrans: Can you do something about timing of lights on Marina Blvd in San Leandro? Traffic there is horrible. San Leandro Town Hall meeting has nearly 60 attendees and about 15 City staff. Police Chief reports that crime in San Leandro is down 7% from last year. Note that this matches regional trend. Commenter at San Leandro Town Hall: Look at cutting city government, including red light cameras, before increasing sales tax. Dwight Pitcaithley at San Leandro Town Hall: Why aren’t voters being allowed to vote on the fate of the San Leandro Marina? Mayor Cassidy responds to Pitcaithley: We don’t have a final plan for the San Leandro Marina yet. EIR is currently underway. San Leandro Comm Dev Director Cynthia Battenberg notes that public wants boat harbor, but not enough to pay for it. From 11/2007 Godbe poll. Leo West at San Leandro Town Hall: Measure Z was supposed to be a temporary tax & now it’s for 30 years. Says supporters of Measure Z lied. Mayor Cassidy to West: We eliminated utility user tax rebate for large businesses. Spent money wisely. Doing same work with less staff. Two more supporters of a boat harbor in San Leandro speak of a lack of vision, the marina as a gem in the Bay Area, & resident support. Mayor Cassidy response to question from Justin Hutchison: City is working on free wifi in downtown San Leandro. There are many things that voters should look into when choosing which candidate to vote for, but endorsements from politicians, parties, organizations and even prominent individuals is not one of them. The unfortunate fact is that most politicos and organizations do not endorse based on the quality of the candidate, but based on factors such as personal ties, political advantage, likelihood of winning and willingness to do their bidding. Endorsements usually go to the candidate deemed most likely to win, which is usually thought to be either the incumbent or the candidate that has raised the most money. This is true for both individual and institutional endorsers. Most endorsers want something in return for their endorsement (even if simply access or future support), and they’re more likely to get it if their endorsee wins. In addition, some candidates have a reputation for vindictiveness, and politicos or organizations may not want to irate them by endorsing their rivals. A couple of examples. During the 2010 Mayoral election, the Police Union initially endorsed City Council member Joyce Starosciak. Not only was she a staunch police supporter (her husband is a sheriff deputy), but the conventional wisdom back then was that a woman candidate, going against two males, would win. As the campaign developed and it became clear that Starosciak wasn’t doing well, the Police Union hurried to co-endorse the incumbent Mayor Tony Santos (who had a reputation for vindictiveness). During the 2008 campaign, the San Leandro Teachers Union (SLTA) endorsed Carmen Sullivan for School Board, but only after it was clear that she was the only candidate running. Sullivan was at the time a supporter of Superintendent, which the SLTA wanted to oust. It makes sense, if a candidate is your friend you are likely to endorse him. Some ties are very old and very strong. For example, Congressman Pete Stark had a standing policy of not endorsing candidates in non-partisan races when more than one Democrat was running. However, he broke his rule and endorsed Julian Polvorosa, a long time friend, for City Council during the 2006 race. 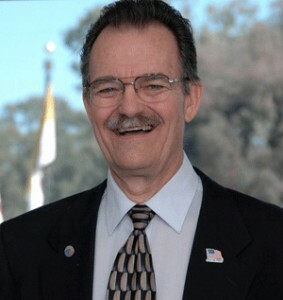 Charlie Gilcrest, a local campaign manager who has been active in the Democratic party for close to forty years, obtained the endorsement of practically every politician in the East Bay when he ran for City Council in 2008, even though he’d never held elective office. There is also an unwritten rule that if someone works in your campaign, you endorse them when they run for office. For example, Governor and former Oakland Mayor Jerry Brown recently endorsed Libby Schaaf for Mayor; she used to work for him. Not everyone follows this rule. Ellen Corbett, in particular, is much criticized for putting political considerations above loyalty to her former supporters. That strategy came back to hurt her, however, when she ran against Eric Swalwell for Congress. Most of those former supporters turned on her. They knew she wouldn’t have their back. Smart candidates, however, pay their political debts. Often times endorsements are the result of political alliances. An endorser who doesn’t care much about the outcome of a given race, might endorse a candidate at the request of a political ally or, in case of politicians, big campaign contributors that do have a steak in that race. African American politicos almost always back other African Americans. This is less true for Latino and Asian politicos. It makes sense. As minorities, you want to build the influence of your community in the political arena. The problem is that the candidates they back are not always going to be the best. Organizations, in particular, are likely to endorse candidates who have similar agendas (or views) to their own. This can be a good or bad thing, as far as voters are concerned, depending on whether they know what the actual agenda of the organization in question is. For example, the SLTA backed Hermy Almonte and Morgan Mack-Rose in the 2008 School Board election, because they also wanted to get rid of the Superintendent. Some membership nonprofit organizations, however, have been “infiltrated” by members who are more interesting in political power than furthering the cause. Endorsements from the Sierra Club, for example, are often suspect. Business associations, in particular, are likely to endorse candidates based on what they think the candidates can do for them. The Rental Housing Association and the Association of Realtors, for example, will endorse candidates that will vote against rent control measures. The Chamber of Commerce will likely endorse candidates that won’t vote to raise the minimum wage. The Police and Fireman unions will endorse candidates that are willing to give their departments the most money, raise their salaries and pensions, and do not insist in holding their departments accountable. 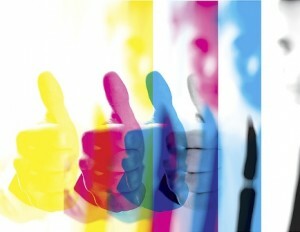 Often times, endorsements are actually based on pettiness. In 2010 the SLTA endorsed Corina Lopez for San Leandro City Council – even though they had never before endorsed in City Council races – because she was running against Pauline Cutter, whom they opposed because she had supported the Superintendent they didn’t like. In 2012, the SLTA president endorsed Ursula Reed because she was running against Morgan Mack-Rose whom, as School Board president, had angered the SLTA leadership. In the current election, Diana Prola endorsed Leo Sheridan, and worked hard to get him the endorsement of the Democratic party and of labor, because he’s running against Latrina Dumas. Dumas was a parent supporter of that controversial Superintendent and often spoke out in her favor at School Board meetings. The candidates endorsed by the Alameda County Democratic Central Committee are often those that have powerful interests behind them. Candidates often hire Alliance Campaign Strategies, a campaign management firm run by a member of the ACDCC’s executive committee, as a way of assuring themselves the Democratic endorsement or at least blocking that of their opponents. There is a lot of behind the scene deal making and threats. Occasionally, the endorsements do go to the candidates that best exemplify Democratic values, but often that’s not the case. The Democratic endorsement is considered very valuable, however. A newspaper’s endorsement will be based on the political views of their current editorial board. In the case of the Bay Area Newsgroup papers (Oakland Tribune, Daily Review, etc.) their endorsement is based solely on how much a candidate knows about the financial situation of the city/district they are running for, how much they understand the nature of their unfunded liabilities and how they plan to address this issue. Whose endorsement should you actually pay attention to? My own, of course. I’m sort of joking, but I do actually stand by the candidates I endorse, whom I’ve chosen based on their liberal ideology, knowledge base and ability to do the job. The endorsements you really should pay attention to are those of people you know and respect, who know the candidates and, preferably, the requirements of the office for which they are running. For example, I decided to vote for Latrina Dumas for San Leandro School Board in part due to the fact that a friend of mine, who has been involved in the schools for many years and understands what the School Board does, fully recommended her. Sure, I did my research, but her first-hand opinion mattered greatly. Beyond that, pay attention to endorsements that actually explain why a candidate is chosen over another. The Green Party, for example, provides explanations of their endorsements, though unfortunately they don’t include San Leandro. The East Bay Express and other newspapers do as well. For Candidates: Which endorsements should you seek? 4 – who have a “base”. One of the reasons why labor is so powerful in the Democratic party is that they can do all of those things for you. While you can definitely win against a candidate endorsed by labor (Mayor Cassidy did in 2010 and Benny Lee in 2012), it’s definitely easier if they are behind you. An endorsement from the Democratic Party, on the other hand, is much less powerful because it’s “passive,” i.e. it doesn’t come with anything attached. In addition to the unions, there are several PACs that will give you campaign contributions, often considerable ones. They usually won’t do anything more than that for you, but money is essential for running campaigns. Of course, most of those PACs will want something from you in return. Having big politicians endorse you is usually, in itself, not that useful – it may help your ego, but voters are seldom impressed -, unless those politicians also contribute to your campaign directly or indirectly. Mayor Cassidy, for example, gave Pauline Cutter’s Mayoral campaign $2,000 and has helped her campaign behind the scenes. Other politicos, on the other hand, usually do little more than sign their names and, if you are lucky, record a robocall for you. If you are running, it’d behoove you to find out which endorsements are worth pursuing. The value of big-name endorsements, however, is in convincing other endorsers that you’re the most credible candidate, and thus generate the support of more endorsers, in particular those who will give you money because they believe you’ll win. For local campaigns, volunteers are just as important as money, if not more so – so pursuing the endorsement of people and groups that are willing to put time and effort into your campaign is time well spent. For example, the San Leandro Community Network, a now defunct local political and civics organization, did not make financial contributions to political candidates, but its members provided lots of very valuable volunteer work, from graphic design to data management and computer services, to phone banking, walking and flyering. The candidates they supported saved thousands of dollars (tens of thousands, in the case of Cassidy) by having SLCAN members work on their behalf. Similarly, in San Leandro you want to get Jim Prola’s endorsement (though he’ll rarely endorse someone until Labor endorses them first), because he LOVES walking door to door and he’s great at convincing people to vote for you and put up a lawn sign. Finally, you want the endorsement of people who have influence among the voting population you are targeting. Some times those people are politicians, but most often they are not. In general, the higher up the ladder the politician is, the less influence s/he has with the voters – at least for what I can see. Stark’s endorsement did little to help Polvorosa, Corbett couldn’t help Santos and Hayashi didn’t help Starosciak. That’s because people who are in Washington or Sacramento most of the time, are unlikely to be able to keep their bases energized and loyal. But you can’t even count on local politicians to have bases – they need to be built, and that requires a lot of time and effort. Currently, in San Leandro, I’d say there are only a couple of politicians that actually have influence over a large number of voters. Non-politicians can actually be more influential. Go after people who are thought to be “on the know” and reasonable by many members of the community. Long-time teachers, coaches and principals are great endorsers, as hundreds if not thousands of voters may have personal experiences with them (just make sure the teachers were well thought of). Endorsements by community leaders are great as well. Religious ministers can endorse you in their personal capacity – so it’s not a bad idea to seek the endorsement of those who have particularly large congregations. Some endorsements from well known people are more problematic. My endorsement, for example, may lose you as many votes as it gains you. The same can be true of PTA and Homeowner Association presidents – often times there are as many people who dislike them as who like them. 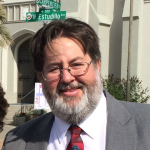 Organizations, such as the Alameda Labor Council and the Democratic Party, usually have procedures for getting their endorsement and you should look them up on their website. As for the rest, you need to call – and ask to meet with them. And then you sell yourself to them. To do so, you need to be prepared. You need to know why you are running, how your values match theirs, what your position is or would be in a number of different issues, and how you differ from your opponents. Cold calling is fine, but it’s best if you can have someone with influence with them call for you first, or at least let you use their name when you call (i.e. “I’m running for X, so-and-so suggested I meet with you). Now, as I mentioned above, some endorsements are very political and a simple meeting won’t do it. For those, try to find someone in the know to give you some hints on how to approach them. This article was updated for the Nov. 2014 election.